An old woman lies dying by the side of the road. Sutherland knows his way of life is at stake. The new Depute Fiscal in the town of Glendoran conducts a Fatal Accident Enquiry. But did Ian Campbell fall accidentally from the deck of the fishing boat Alert or will the Court find a murderer among the witnesses? Will Sutherland have to admit that blood is sometimes not as thick as water? Why should a beautiful girl be running through a wood in the middle of the night carrying a 12 lb. salmon? And who shot her? What matters more - that justice should be served or that a whole town should be ruined? 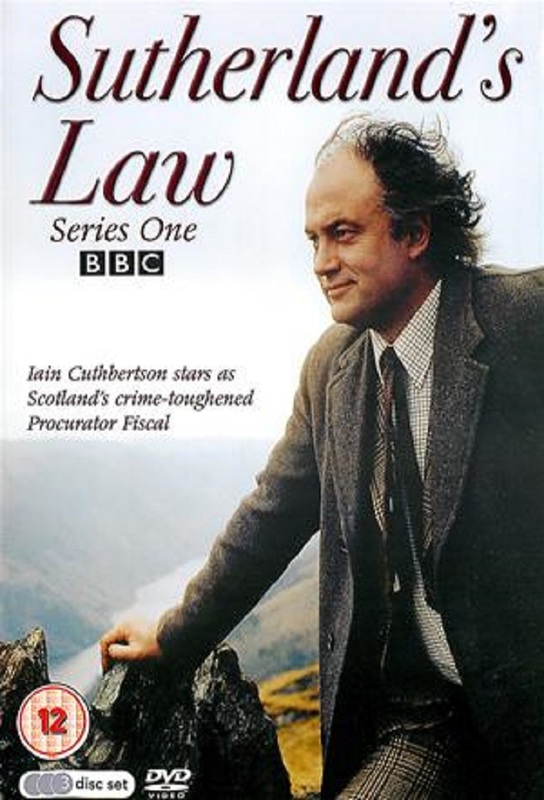 Sutherland has to decide whether the Law serves the people or the people serve the Law. Who is The Milkie? Why was he trying to get to Glendoran? And who was chasing him? Why has Stella Ross returned to Glendoran? Who is threatening her life? And what can Sutherland do to prevent a second tragedy in her life? A valuable pendant is the first link in a chain which takes Sutherland all around the world to end where he started. With the best intentions Christine tries to help young Mary Campbell. And puts the girl in terrible danger. A man is dead. Why? Sutherland and Duthie have to climb a killer mountain to find the truth. And the last time Sutherland climbed there was a terrible tragedy. Sutherland becomes involved in a vendetta and has a hard choice to make when the hunter becomes the hunted. Speaking Gaelic, building a house and shooting at a rabbit on land can land you in the High Court. Or so one old man finds out. Sutherland finds himself dealing with the spirit of the 45. A young delinquent sets fire to a local petrol station. In order to present the full case Sutherland finds himself not only prosecuting but defending as well. What is the difference between killing and murder? The soldier and the poisoner both know, but Sutherland has the most difficult decision of his career to make.